Picture is already perfectly stretched on thick wooden frame. The side margins are also printed to create a particularly decorative effect. 2. Any image that is to be printed as a giclee needs to be created at a resolution of no less than 300 dots per inch (DPI). This is to ensure that the final print has the sharpest detail and lacks any of the fragmentation that can occur with images less than 300 DPI. Pigment-based inks have a longer life span that can last anywhere from 100 to 200 years without significant fading. Note: Normally, the shipping time will be about 15 days after shipping out. We have added some staples on the back secured with screw hooks, so you can pop them straight onto the wall. Your paintings will be carefully packaged in bubble wrap and cardboard to ensure they reach you in perfect condition. 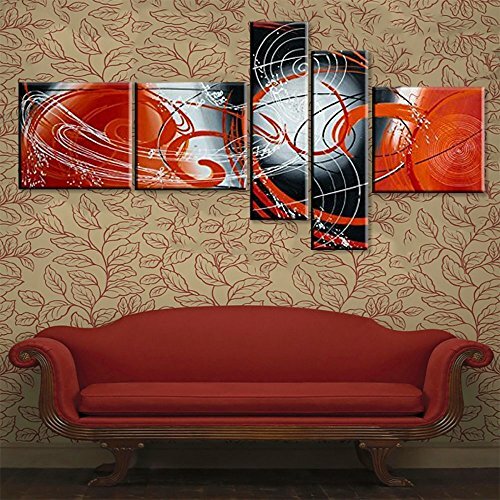 A perfect wall decorations paintings for living room, bedroom, kitchen, office, Hotel, dining room, office, bathroom, bar etc..